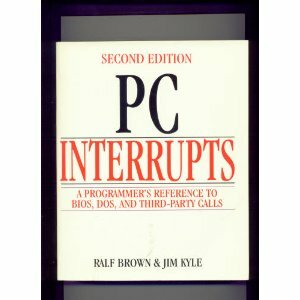 A book on 80286 assembly language - Oh, how powerful was that processor! Search as I might I can't find it anywhere, although I know I bought my copy from Farnell (well, actually my father did, which means I was early teens). Anyway, enough reminiscing. I did have a point! Now, this is intriguing, but it's hard going. 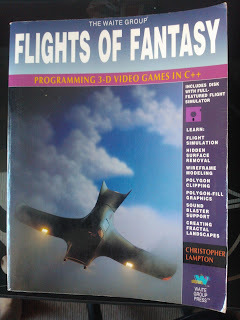 It covers rendering all the way up to polygons on a pixel by pixel basis - there was no blitting or 3D graphics cards back then! Also, there is great swathes of C++ code, hugely verbose but undoubtedly extremely fast for the time. So, I've been having some thoughts. 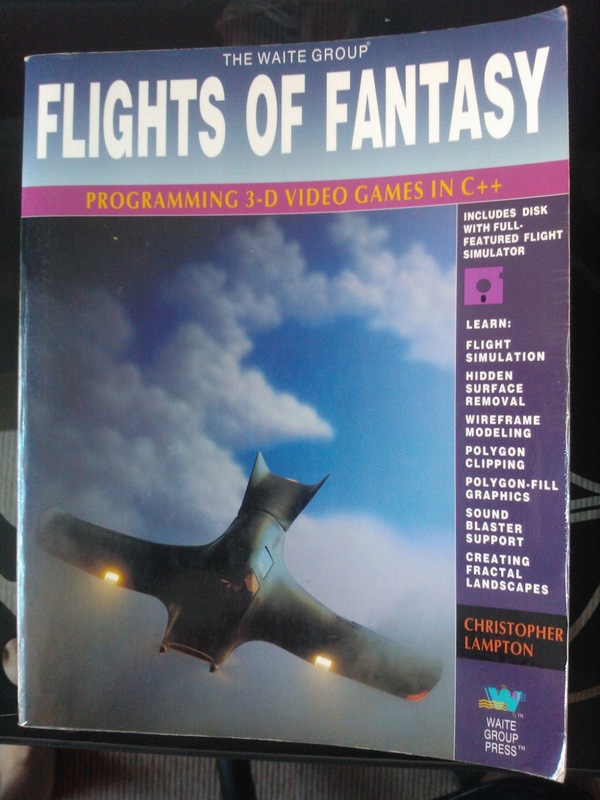 I really fancy the idea of doing my own flight simulator, maybe using the book as inspiration and stimulation. I do actually rather like the idea of being retro and doing pixel blitting, Bresenham's algorithm et al. I don't want to use some old style imperative language though, I want to use something modern and functional (preferably). So, what languages could I choose and what are the pros and cons? Clojure JVM libraries, Java2D, Concurrency, fun Poor debugging, slow? Haskell Performance, native binary Is a pure language a good idea for such a stateful project? Scala Good compiler, performance, Java2D, JVM libraries, very similar to original C++ Too similar to the original C++?!! Now, what about some more fun languages to do this in? Here are some scripting choices, although they do have a performance hit of course. Now, if I want something quickly then I suspect Ruby is the way to go as I'm more familiar with the syntax than python (despite it being better supported for this sort of thing). I think Haskell might be too much of a challenge, and I think Scala will be too easy. I'm also thinking that as it's effectively a 'game' type application that a natively compiled languages might be best - although I'm quite aware that both O'Caml and Haskell have a VM. Okay, I've make a decision - O'Caml it is. It natively compiles, it's fast and I like the syntax. I'm not overly familiar with the libraries so it'll be a fun exercise. Also, it's a functional language but I can if I feel naughty use mutable variables (or even OO). Okay, I've got something going in O'Caml - I have both success with SDL and with OpenGL. However, compared to F#, there are still enough things that make me feel it's just a bit 'passed it'. More investigation is required!